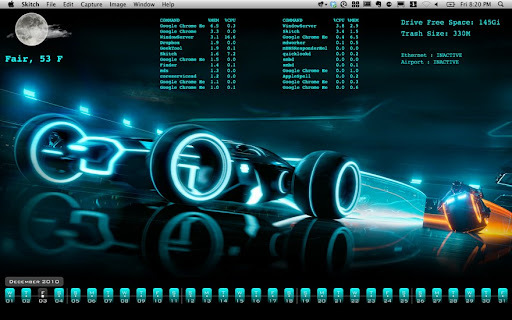 This entry was posted in Apple, Conky, Geekery, GeekTool, Linux, Mint 10, Tech, Video by Ed. Bookmark the permalink. Hello Ed! Think that’s how those sessions go anyway. Love this post. Found it on my Twitter stream and think it was RT’d by @Webupd8 if I’m not mistaken. In any case, I too am a tech geek of sorts and also like using Linux every chance I get. I’m currently using LM 11 as a dual-boot option on my Win7 box. 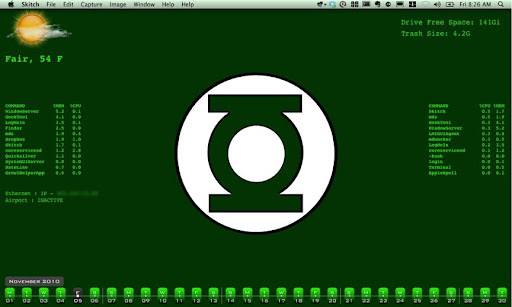 I’ve been using Mint for a couple of years now and have used Conky before to show up my Mac-using daughter and son in law. I’m going to subscribe to your RSS feed & Twitter account too. Mine’s @wilsonsway. I’ll be interested in connecting with you. Years later still good. just got my first mac, so id like to see more on Geektools. In depth config and setup maybe. Awesome. Thanks for visiting and commenting. I may have spoken out of turn. Can’t for the life of me find your RSS feed link. I called myself looking but…. Wow. You’re right, it’s not on my site. I just installed a new theme a few months ago and never realized the RSS isn’t visible. Shows you how much traffic I get here. I’ll fix the RSS link now. Mine’s pretty much the same way. Not a whole lot of traffic. Guess I’m mostly to blame for not promoting it very much but seeing as I don’t post that often, well, it sort of worked out. Going to try the Desktop System Monitor on my LM 11 desktop. Hoping it will work as it’s a version newer. Guess I’ll find out. After that, will also try the ones for my Windows box.